Update: Congratulations Bekah! You are the winner of this giveaway! I will be in touch with you shortly about your prize. Thank you everyone for reading and entering! Good morning! Today I’m starting off with a giveaway of two of my favorite cookbooks! 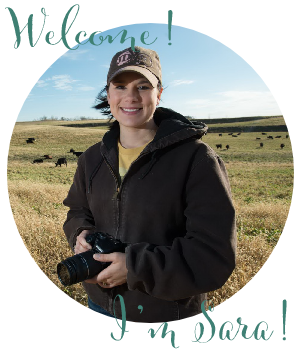 The first one is from the National Cattlemen’s Beef Association and has so many delicious recipes and tips on how to cook your beef. Some of my favorites are Beef and Veggie Frittata, Steak and Caramelized Onion Sandwiches, and Szechwan Beef Stir-Fry. 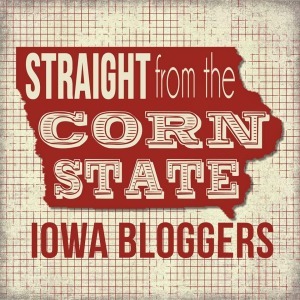 The second cookbook is the Iowa Food & Family Cookbook featuring bloggers from Iowa including Kristin from Iowa Girl Eats and Cristen from Food & Swine. I’m even in there a few times with my Easy Pasta Bake, Sweet Corn Ice Cream with Blackberry Sauce, and Grilled Corn Salsa. I’m also throwing in two sets of recipe cards, one set to keep and one set to share with a friend, of a few of my favorite recipes. I look forward to sharing more recipes with you soon! We’ve been grilling and eating outside a lot recently and the twins are all about eating “grown-up” foods! Can you believe that? Where has the time gone!?!?! Also, you can get a peak in the picture above, I have refinished our dining room table, so that means that our kitchen make-over is finally complete! Yeah! I shared before pictures on Facebook and Instagram back in June. Now I need to share the process and the after photos with you! Stay tuned! I love it! 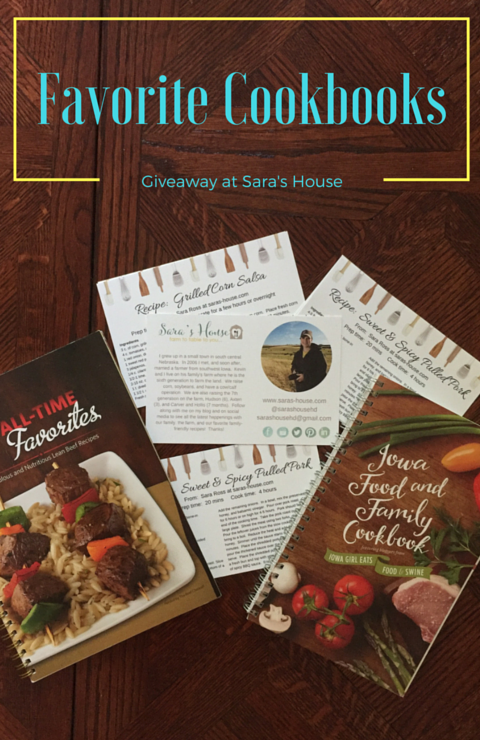 Sign up to win these cookbooks and recipe cards below! I’ll ship them to the winner next Wednesday! Thanks! I love a good cookbook!! I still love to hold an actual cookbook~ Looks like a fun giveaway! I do too! 🙂 Thanks! Cookbooks are a great read!! !